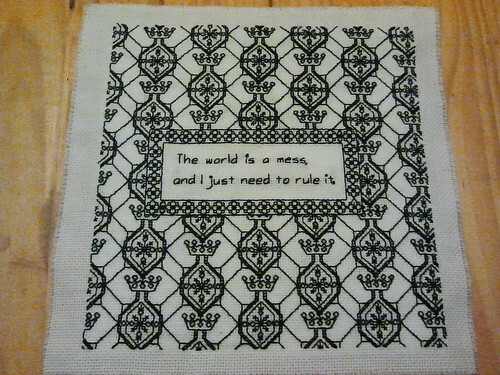 Today I'm sharing a small round up of some recent Blackwork from the &Stitches group. This fabulous Garden Sampler by Teresa (DaisiesforViolet) is an especially happiness-inducing find! 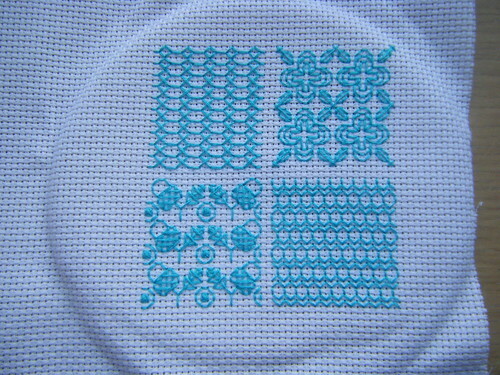 I can imagine the Garden Sampler (find our template here) would also work well if you use different Blackwork patterns. I really like the aqua coloured thread and different patterns (tiny acorns!) in this piece by the Craftersapprentice. 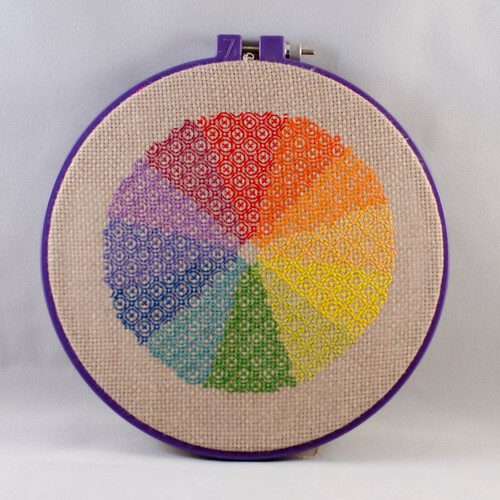 Anne (aka Beachedlibrarian) took on some Purplework, including a fun weaving-pattern. 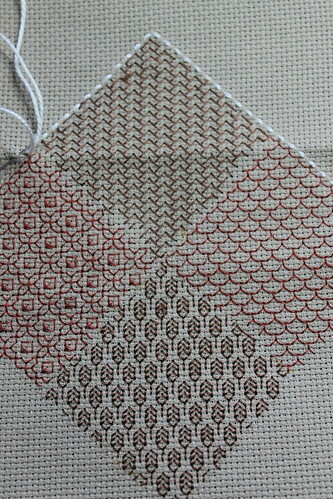 If it looks a fine and delicate as Flowerfriend2012's sampler than I consider myself a fan of Brownwork from now on! And I'll leave you with a gorgeous piece by Chennestique Pug called Dr. Horribles Blackwork. I came over to say "wow" at the rainbow piece at the top - beautiful work, then I saw you'd featured me! Thank you so much. 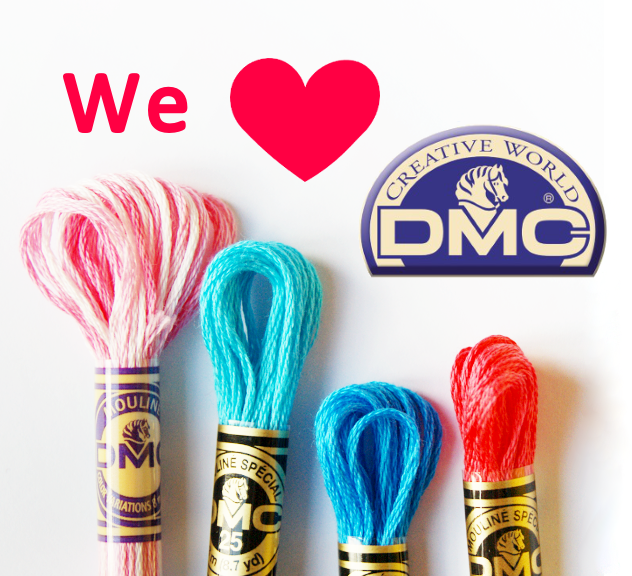 Thanks for including mine :) The others are really gorgeous! !